Windows XP/2003/Vista/7/8/10 SRF – popular ‘large’, professional photo format. Photographs like it because of good quality and big number of additional information points which it consists of. It is easy in rendering and post-production, the only one thing – this format doesn’t suit for web-posting. You can’t make an avatar in social net using SRF or to upload it into net photo bank. Besides, this format is ‘heavy’ – SRF takes a lot of hard disk spice. That is why we recommend converting SRF images into JPEG. 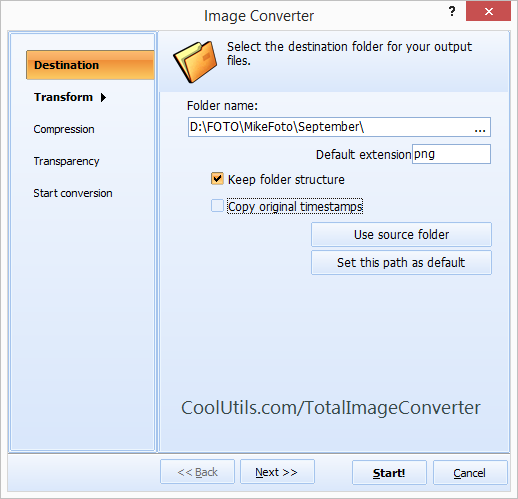 You can find any image converter you like in the internet. 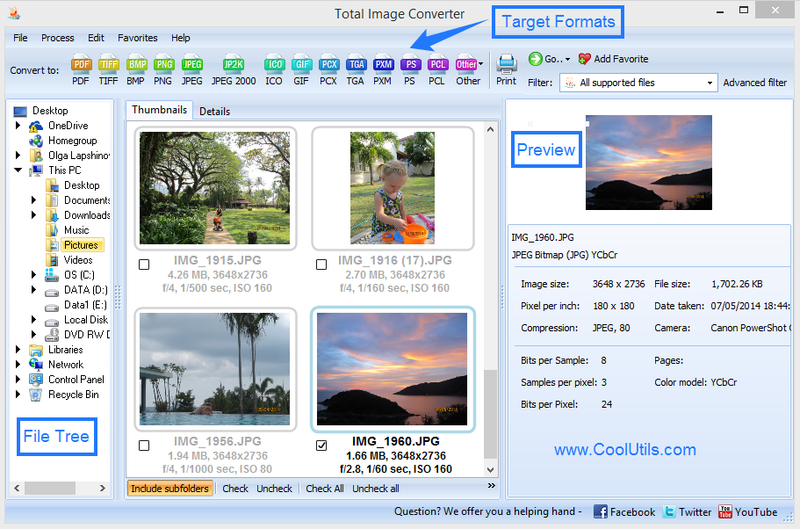 For example - Total Image Converter, which we choose. This software easily converts SRF to JPEG, moreover this program edits and re-sizes your pictures if you need. 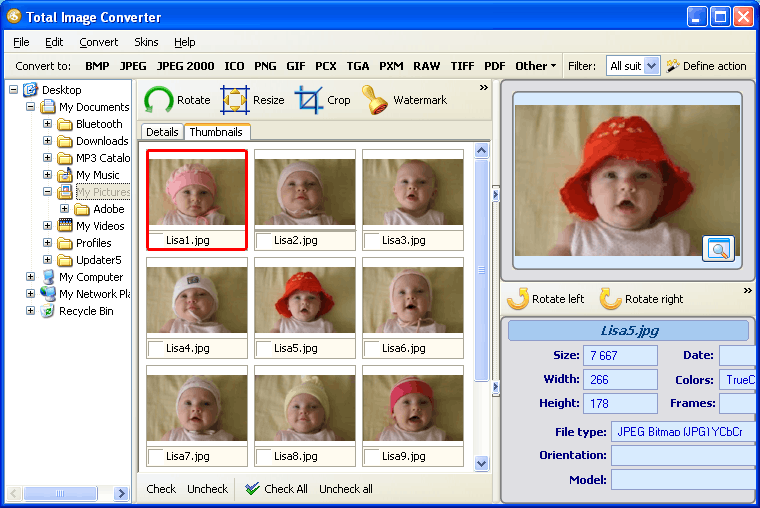 you should use SRF JPEG converter, that will help you to have all your photos in a light and widely used format. 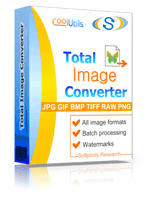 Total Image Converter has a lot of additional functions – it is not just an SRF convertor. With help of this program you can convert all your pictures at same time. You don’t need to choose every srf picture separate or to make presets. This program already has set of ready-made presets. If you need to mark your photos, put label on them – watermarking function will help you. You can re-bord and re-size your photos just with few clicks. So if you decide to follow our advice – just download Total Image Converter and install it on your computer (System Requirements are really low). Then choose all srf pictures your need to convert and click at the ‘convent’ button. Even people who see PC first time in their life can do that. If you need to edit your pictures (resize or put water-stamp) you can do it before or after convection. It is up to you which program to choose and what converting protocol to use, but remember – your photos are your memories – be careful with them. Good luck!